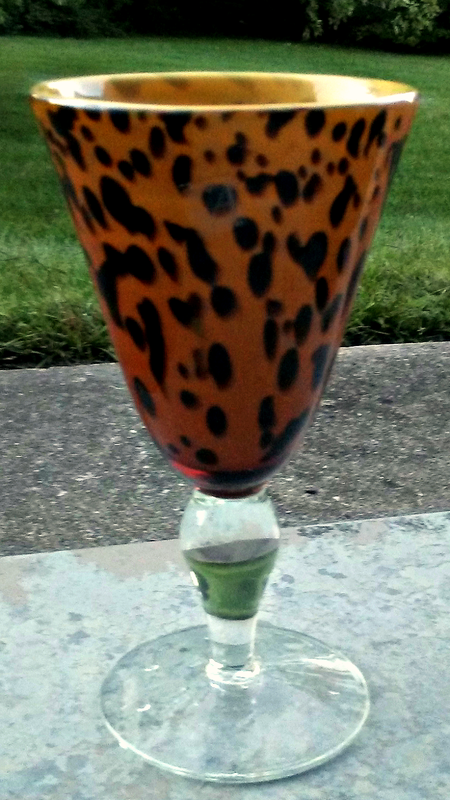 This is an Amici Water Goblet with an animal leopard print design. The Amici sticker is attached as shown in the above photo. It stands at 7 1/4 inches high and 3 7/8 inches wide. The glass is thick, cased and the goblet itself is heavy. Add to your assorted collection of goblets or start one!